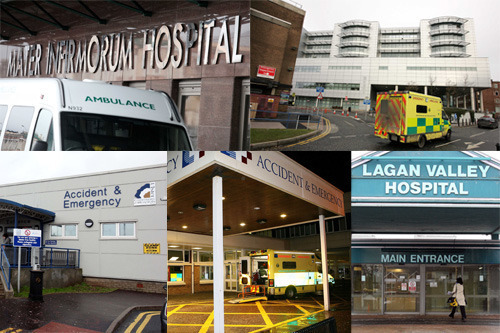 NORTHERN Ireland’s health watchdog is recruiting members of the public to join the inspection teams charged with regulating hospitals and care homes here. The Regulation Quality and Improvement Authority (RQIA) is advertising for unpaid lay assessors who will “bring their own experience, fresh insight and a public focus to inspections and reviews”. However the job description states that while successful candidates will interview patients and provide written feedback, they do not have a specific right to enter premises or carry out functions such as looking at the records of patients. They could also be asked to sign confidentiality agreements. In July last year RQIA’s counterpart in England, the Care Quality Commission (CQC), announced plans to make sweeping changes to its inspection regime. This included recruiting members of the public. The announcement by the CQC came after months of media pressure to replace a widely discredited inspection model, which relied heavily on self-assessment by health trusts and led to inspection visits only focusing on small parts of a hospital at a time. In Northern Ireland RQIA conducts a programme of annual inspections at all registered health and social care services on a minimum of two occasions per year. Previous investigations by The Detail have highlighted concerns about the robustness of the watchdog’s inspection regime. Similar to the system in England, the new lay recruits here will not be asked to inspect or review services provided by health and social services organisations in their local area. RQIA have used lay people in its work since its establishment. This has primarily been as “reviewers of reviews” or having people with care work experience inspecting regulated children’s services and mental health and learning disability services. The latest recruitment drive extends these roles and, once appointed and trained, lay assessors will be involved in inspections of regulated care homes and infection prevention/hygiene inspections. The criteria states that in the course of duties assessors will become party to confidential information and for this reason will be asked to sign a confidentiality agreement. The majority of hygiene inspections are unannounced and trusts are not aware until the day of the inspection which hospital, wards and clinical areas are to be visited. The regulator says these inspections provide a snapshot of what is happening on a given day in a particular ward. The role of the lay inspector within these inspections will be to interview patients and visitors and to provide verbal and written feedback to the team leader. These findings will be included within the inspector’s reports which are published on the RQIA’s website. The criteria for the role concludes: “The role of lay assessor is a voluntary one. You will play an important part in the inspection or review, but you will not have a specific right to enter premises or carry out functions such as looking at the records of patients or clients”.